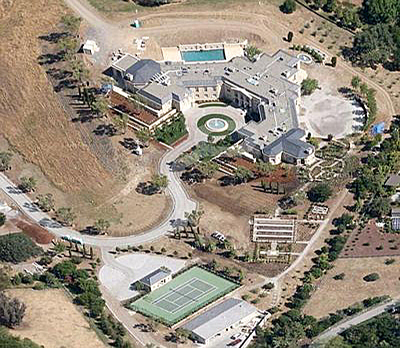 $100,000,000 Los Altos Hills Estate recently purchased by Russian Billionaire. 5BA/9 BA, 25,545 sq.ft. of living space on 499,197sq. ft. property. $100,000,000 Residential Real Estate transaction doesn't happen every day or even every year in Los Altos Hills. This time the Russian high tech billionaire Yuri Milner, one of the fundamental investors (up to 20% ownership) in the Facebook and owner of the few dominant Russian web sites, bought 5BA/9 BA, 25,545 sq.ft. of living space on 499,197sq. ft. property. Milner’s Digital Sky Technologies has also invested heavily in other in web power players such as Zynga and Groupon. 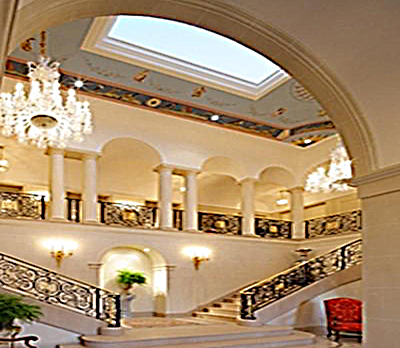 Every time when I'm showing Los Altos Hills properties, all new clients want to know where is this palace located. You can see pictures of the property at www.andreirealty.com on the very top left hand side. According to Wall Street Journal, the new owner has no intention to move in any time soon and overall, this transaction was done under dense vale of secrecy, even title shill not showing in the County records. But there several funny moments in this story. First, is the Zillow.com shows estimated price for this property as $22 Mill. And second, how Mr. Millner found his selling agent. He was actually calling, out of blue, to several Real Estate offices in the area and asking for help in purchasing of this property. First agent, he happened to talk to, didn't take him seriously, considering his phone call, as a joke. Can you imagine, the thought process of this guy today? Then, Mr. Milner checked with local news papers, looking for somebody, who is placing biggest ads in the papers, and he found one. The golden touch of Russian investor Yuri Milner, who made a killing on Facebook, apparently doesn't extend to Silicon Valley real estate. The Santa Clara County assessor said Tuesday that the Los Altos Hills mansion the Russian billionaire paid $100 million for last year is worth a mere $50 million. The mansion's purchase, through a limited liability corporation called LaPaloma Property, made headlines last March as the largest amount ever paid for a home in the U.S. Perched on a hill in Los Altos Hills, the 17-acre estate has a commanding view of the Bay Area. following an extensive survey of other mansions as far away as Beverly Hills. Did Milner pay too much for the lavishly appointed mansion? "'Overpaid' is relative and judgmental," Stone said. "He paid more than the fair market value." The assessment means a big property tax break for Milner -- about $600,000 in taxes instead of $1.2 million. But that may come as a disappointment to local school districts and the town of Los Altos Hills, which will receive less tax revenue. Stone scheduled a conference call Tuesday with the two local school districts and town officials to explain how the fair market value of the home was determined. The valuation doesn't have anything to do with the troubled housing market in other parts of the Bay Area because home prices have soared in the upscale parts of Silicon Valley along the Peninsula. But, even at $50 million, the property will probably drive prices up on surrounding estates. If Milner's real estate acumen seems shaky, his other investments more than make up for it. Forbes estimated Milner's worth$1 billion. earlier this year. His Los Altos Hills home, one of the largest in Silicon Valley, is a 25,545-square-foot mansion that features a ballroom, game room, maid's room, library, two dining rooms, an indoor pool, sauna and spa, two three-car garages, a carwash, tennis courts and 14 bathrooms. There's also a 4,613-square-foot guest home. Comparable mansions have sold for less, according to the assessor. For example, a 30,000-square-foot mansion on 7.5 acres in Los Altos Hills sold for $28.5 million, and a 38,849-square-foot mansion on 6.7 acres in Woodside was listed at $43 million. 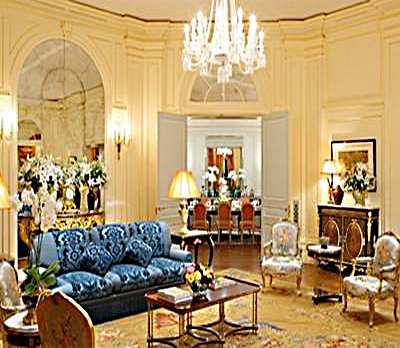 The much larger, 56,500-square-foot Aaron Spelling Manor in Los Angeles sold for $85 million in July 2011. "The law is very clear that assessors must assess property at its fair market value," Stone said. "We are not handling this transaction any differently than we would a condo in East San Jose."